Tony Smith concentrates his practice in Construction Litigation. He has substantial experience in construction contract negotiation, arbitration and litigation, both domestically and internationally. In recent years, Tony has focused on major power plant and other infrastructure projects. He has also published and presented studies and papers on many topics of interest and concern to the international arbitration community. He was lead trial attorney in many large, complex, multi-party disputes, representing a wide variety of clients, including owners, EPC contractors, general contractors, architects/engineers, subcontractors, sureties and insurers. 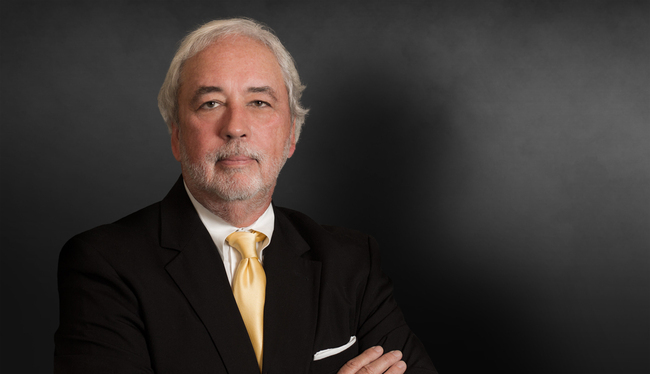 Tony has served as an advocate or arbitrator for cases throughout the U.S. and internationally in, among others, the United Kingdom, the Middle East, Africa, Southeast Asia and the Caribbean. He is also experienced in various ADR procedures, including mediation, mini-trials, Dispute Review Boards, and others. From 2007-2009, Tony traveled extensively to various locations in the United Arab Emirates as the senior partner on a legal team charged with investigating, analyzing and establishing a Dubai office. As a result, he has been engaged by various U.S. design firms in connection with disputes arising from high-profile projects in Abu Dhabi and Dubai, as well as other Gulf Cooperation Council (GCC) countries. Currently chair of an ICDR tribunal for $120 million in disputes arising out of the design and construction of a luxury ski resort complex. Currently serving as a panel member for arbitration of commercial disputes in excess of $20,000,000. Hearings scheduled for 2018. (ICDR Rules). Arbitrator on a panel hearing disputes between the owner, the general contractor and multiple subcontractors arising out of the design and construction of a wind-powered electric generation facility. Claims total approximately $35 million. Chair of a three person DRB hearing and issuing binding decisions on disputes arising from design and construction of the $7B Vogtle Nuclear Generating Plant in Georgia and the $7B V.C. Sumner Nuclear Generating Plant in South Carolina. Represented a large international architecture/engineering firm on disputes arising out of US$800 million Ferrari Experience theme park project in Abu Dhabi. Arbitrator on a tribunal hearing claims in excess of US$100 million related to design and construction of a large radar facility complex in Southeast Asia. Acted as lead counsel for developer of an East African powerplant project in connection with an ICC arbitration "Terms of Reference" proceedings in Dubai. $11 million jury verdict (including attorneys' fees and interest) on behalf of electrical subcontractor wrongfully terminated on California cement plant project. $3.2 million jury verdict against the Florida Department of Transportation. $29 million jury verdict/judgment against a mechanical subcontractor and its surety on a large hospital project in Wilmington, Delaware. $8.7 million arbitration award on behalf of a terminated contractor on a large hospital project in Los Angeles. $30 million arbitration award on behalf of the general contractor on the Liberty Place mixed-use project in Philadelphia. $24 million settlement obtained on behalf of the Milwaukee Metropolitan Sewerage District in a suit against a national engineering firm. $50 million settlement obtained on behalf of an international IPP in litigation against a major equipment supplier for two UK power projects. Appointed as arbitrator by the Arab Republic of Egypt for ICC proceeding: L*A Water v. The National Organization for Potable Water and Sanitary Drainage (Ref. No. 7653/BGD). $74 million settlement obtained on behalf of a large public utility in a suit against a supplier of gas-fired combustion turbines. The Foreign Corrupt Practices Act: Update 2012, May 16, 2012. Contributing Author, "International Arbitration - Construction: Outside and In-House Counsel Perspectives," Chapter 25, International Commercial Arbitration Practice: 21st Century Perspectives, Matthew Bender, 2010. Recent Developments in Arbitration Law in the U.A.E., September 15, 2010. The Foreign Corrupt Practices Act: Update 2010, June 15, 2010. The Foreign Corrupt Practices Act: Leveling the Playing Field, July 6, 2009.
International Arbitration: A Practical Guide for the Construction Industry, August 2008, updated 2010. Co-author, "Numbing the Expert Pinch: Avoiding Expert Disqualification in Construction Litigation," International In-House Counsel Journal, Vol. 2, No. 1, Autumn 2008. "Comment: InterGen N.V. v. Grina: Fundamental Contract Principles Trump Policy Favoring International Arbitration Where Nonsignatories Are Involved," ADR & The Law, 20th Ed., American Arbitration Association, originally published by JurisNet LLC, Huntington, New York, USA, 2006. "Engineering Misfeasance in the Design of a 30-Ft Diameter, TBM-Bored Tunnel - A Hypothetical Case/Claim Study," Tunnel Business Magazine, Vol. 7, No. 2, April 2004. ATLAS 2013 Conference, Presentation entitled "What is My Arbitration Award Worth?," April 2013. Presentation entitled "Managing the Top Risks Facing Architects and Builders in Sustainable Design Projects," CSI's CONSTRUCT, Chicago, September 2011. Presentation entitled "Examining International Construction Contracts and the Various Dispute Resolution Clauses," Associated Owners & Developers National Fall 2010 Seminar Series (Atlanta and New Orleans). Moderator, Panel Presentation entitled "International Construction Projects - Corporate Counsel's Perspective on Designing their Conflict Management Policies," 8th Annual Miami International Arbitration Conference, March 2010. Presentation entitled “Recent Developments in Arbitration Law in the Middle East,” American Bar Association’s 2010 Midyear Meeting, February 2010. Presentation entitled "Basics of International Arbitration," International Law Section's Annual Seminar, November 2009. Presentation entitled "Recent Developments in Arbitration Law in the Middle East," The Seminar Group, October 16, 2009. Presentation entitled "Construction Activity and Dispute Resolution in Various Legal Systems," American College of Construction Lawyers' Annual Meeting, February 2009. Presentation entitled "Recent Developments in UAE Arbitration Law," Construction Superconference, San Francisco, 2008. Presentation entitled "Corporate Consciousness - Avoiding the FCPA Spotlight," International Construction Law Conference, a Joint Conference of the Society of Construction Law (UK) and the American College of Construction Lawyers, October 2008. Presentation entitled "BIM: The Legal Perspectice," Applied Software Executive Roundtable Seminar, Atlanta, January 2008. Chair and Moderator, Panel Presentation entitled "International Arbitration - Avoid It Like the Plague! ", International Construction Superconference, London, May 2007. Presentation entitled "Pathological Arbitration Clauses," American College of Construction Lawyers' Annual Meeting, February 2007. Presentation entitled "Prevention and Mitigation of Claims and Disputes on Infrastructure Projects," UPADI (Pan American Convention of Engineers) Conference, Georgia Institute of Technology, 2006. Co-Chair and Moderator for a Panel Discussion entitled "Innovative Dispute Resolution Techniques for Complex Projects," International Construction Superconference, London, May 2006. Presentation entitled "Dealing With Owner Claims for Defective Design and Breach of Fiduciary Duty," Contractor and Construction Manager Issues Superconference, San Francisco, December 2005. Co-Chair and Moderator, Panel Presentation entitled "Private Financing for the Public Good: The Future of Project Finance and the Role of Contractors in Developing These Projects," International Contractors and Construction Manager Superconference, London, May 2005. Panel Moderator, presentation entitled "The Combined Sewer Overflow Dilemma," Second Global Project Superconference, London, 2003. Presentation entitled "Termination of Construction Projects," International Bar Association's Annual Meeting, San Francisco, 2003. Presentation entitled "Law Applicable to Arbitrations, Enforcing International Agreements," Centre for International Legal Studies' Second Conference on International Arbitration and ADR, Salzburg, Austria, 2002. Presentation entitled "A Comparison of Dispute Review Boards and Adjudication," International Bar Association's Business Law International Conference, Cancun, Mexico, 2001. Presentation entitled "What are the Sanctions for Failing to Obey an Order for Interim Relief? ", Law Conference on Arbitrating International Disputes in the New Millennium, Centre for International Legal Studies, Salzburg, Austria, 2000.